Remote Critical Infrastructure Protection Site > Victor M. font Jr.
A Remote Critical Infrastructure Protection (CIP) site offers the best protection against catastrophic system disruptions. After Hurricane Sandy, University Information Technology Services (UITS) scrambled to build a local CIP site in the Chemistry building approximately 300 yards distant from the Math Science Building (MSB) where UConn's central data center is located. While the MSB data center has redundant power feeds, the Chemistry site is a high risk gamble because of its proximity to MSB. If anything happens to take down the power on the Storrs campus, the Chemistry site will fail in its mission. UConn Storrs desperately needs a remote critical infrastructure protection site. A while back, I had the UConn Police dismantle a bomb making lab in MSB that a graduate student set up, so the risks you point out are actually quite real. Since he sent this reply to the entire distribution list, it created quite a stir. As it turns out, the incident was reported in the news in the year 2000. It's old news, but it punctuates the fact that we are at risk for a serious disruptive event every single day. Also, the UConn Storrs campus is situated approximately 35 miles from two nuclear facilities. UConn Storrs is designated as an evacuation destination in the event of an accident at the Millstone Nuclear Power Plant in Waterford, CT. A fast attack nuclear submarine base is located a few miles further south from Millstone in Groton, CT. The U.S. Navy will neither confirm nor deny the presence of nuclear weapons on the base, but if I had to venture a guess...I think our enemies might just consider the base a first strike target. The University of Connecticut Health Center (UCHC), located in Farmington, Connecticut, is an integrated academic medical center that is involved in three areas: academics, research, and clinical care. UCHC is at the center of Bioscience Connecticut, a plan introduced by Connecticut Governor Dannel P. Malloy and approved by the Connecticut General Assembly in 2011. 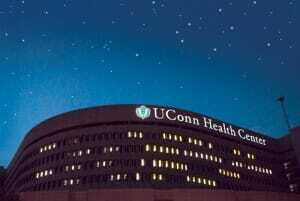 It is home to the School of Medicine, School of Dental Medicine, John Dempsey Hospital, UConn Medical Group, UConn Health Partners, University Dentists and a thriving research enterprise. 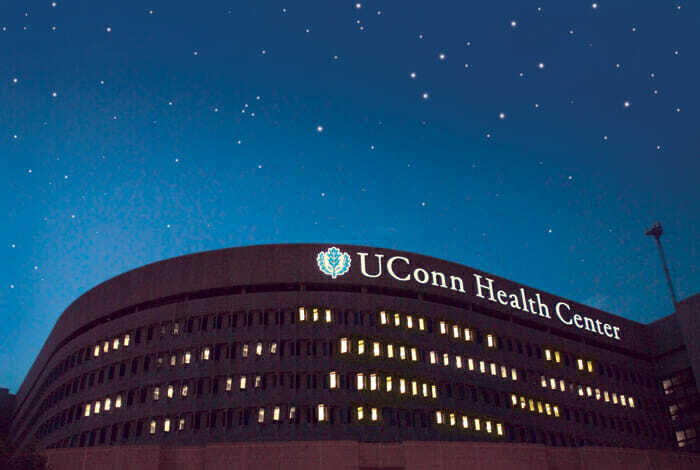 While UConn Health Center is closely linked with the University's main campus in Storrs through multiple, cross-campus academic projects, functionally it operates almost as a separate entity with it's own CIO and IT Group. With space secured, the new problem is, "How are we going to pay for the remote critical infrastructure build-out?" This is a question that, as of the time of this writing, is yet to be answered. It's on the list of strategic priorities for the 2013-2014 fiscal year, but funding has not yet been approved. I applied for $4.26 million from Connecticut's IT Capital Investment Program managed by the Office of Policy and Management. While they haven't said no to any requests yet, and this project is on the list of those destined for approval, it still needs to be vetted by the bond commission because these projects are funded with public debt. Nobody knows what's going to happen, but I can only hope that UConn's leadership keeps the momentum going for this vital need.